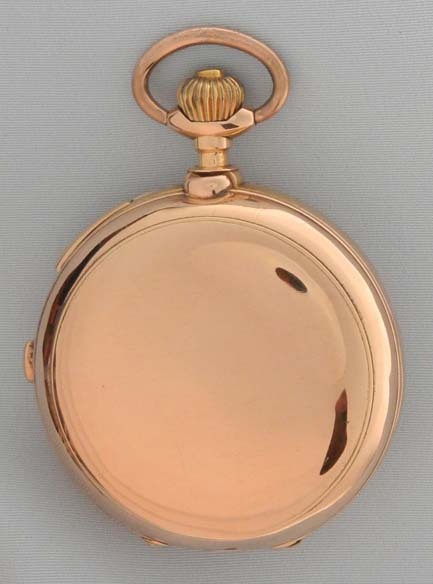 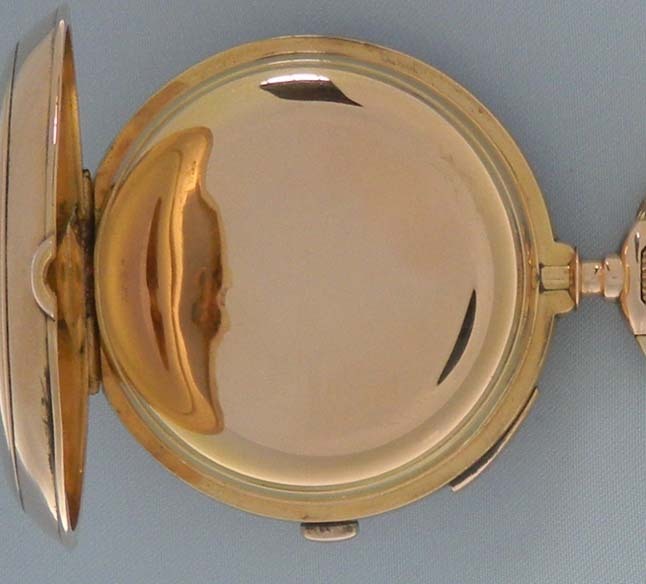 Good Swiss 18K red gold quarter repeater chronograph antique pocket watch circa 1890. 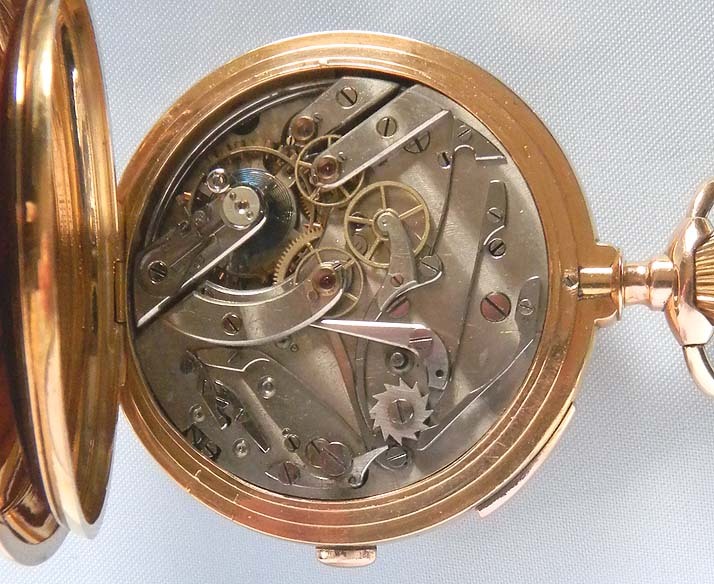 Plain polish case (hinge repair) with chronograph button and repeater slide in the band. 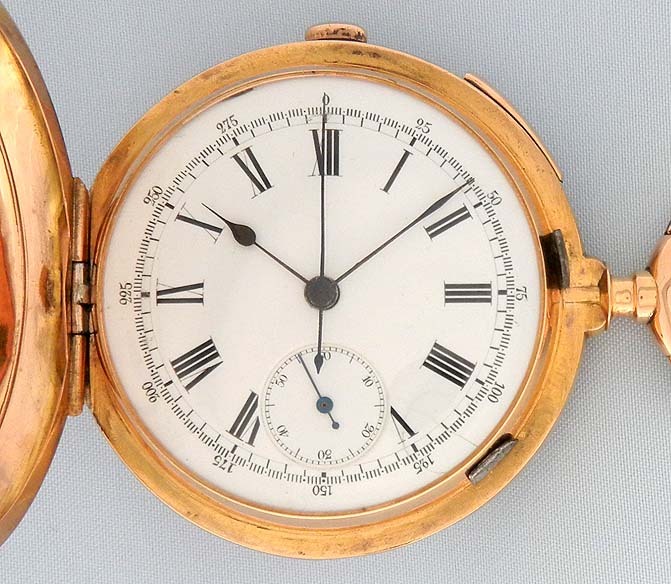 White enamel dial (clean hairline) with bold black numerals and blued steel hands. 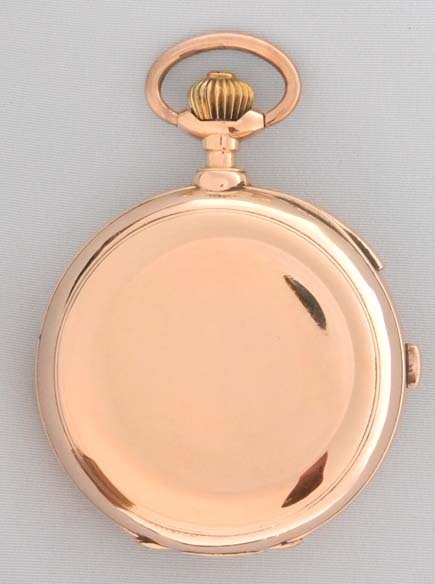 Nickel estimated 17 jewel movement (light scuffs) with precision regulator and the chronograph work visible on the back.